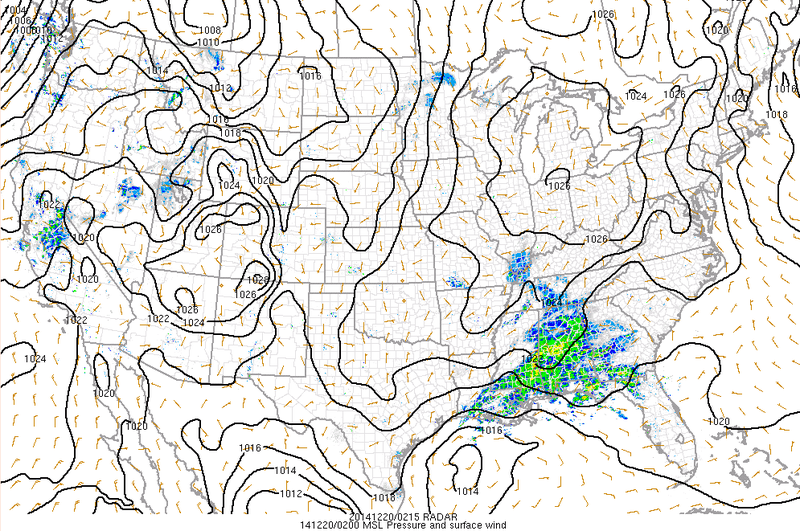 The system that looked promising for snow across the Shenandoah Valley is currently working its way across the Gulf. 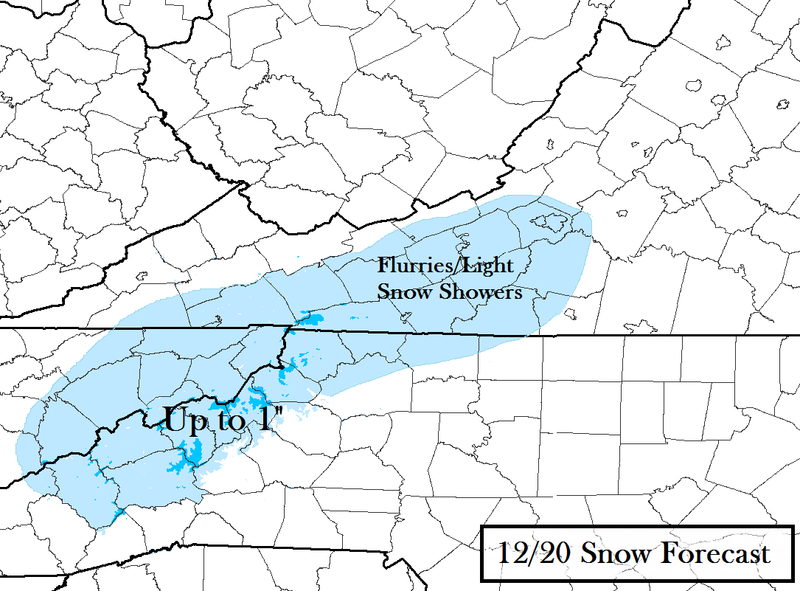 Although the bulk of the moisture stays well to our south, there will still be enough lift far enough north to spread light precipitation across the western NC mountains and into parts of SW VA. Not a huge deal....but there could be up to an inch or so across the highest elevations. I actually wouldn't necessarily be surprised to see a flake or two sneak into the southern Shenandoah Valley...but areas in the light blue certainly have a better chance. Next week will be active storm wise...and although it's looking more wet than white, there will be 2 separate chances to at least see wintry precipitation. I'll have a blog highlighting those chances sometime tomorrow.